Got a couple pieces of new from Pandasaurus and IDW for you at the moment. 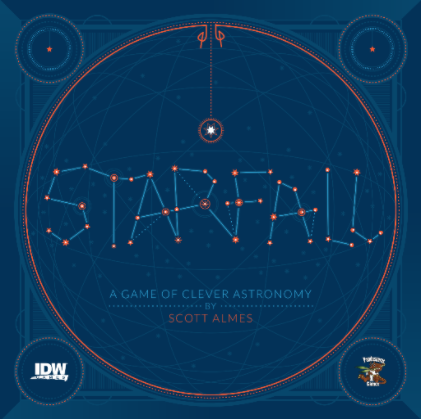 They've got a new, stand-alone game that's part of the Machi Koro family, as well as a whole new game release, Starfall, designed by Scott Almes. 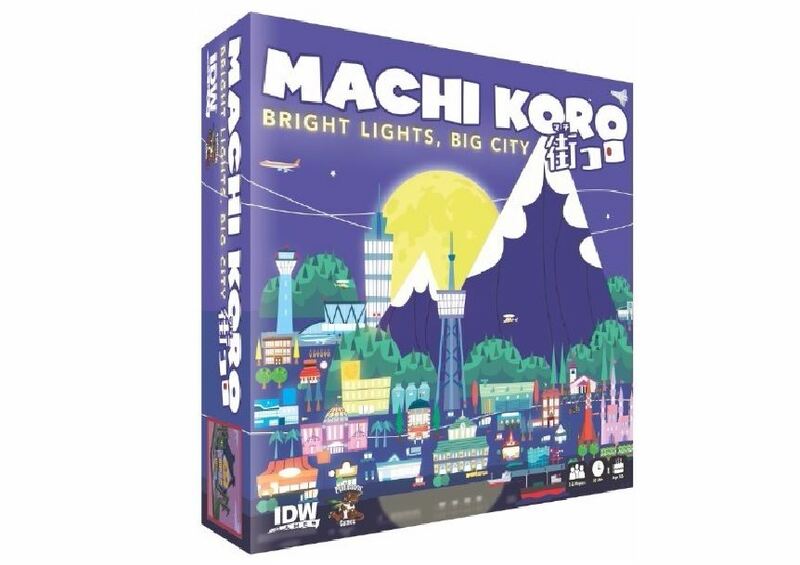 For Machi Koro, there's Machi Bright Lights, Big City. As I mentioned, it's a stand-alone game. So you can use it as a jumping-on point to the series. It contains more than 180 cards from both expansion. But that's not to say that it's just a mix of cards. There's entirely new set-up rules that will create a unique experience for those that are Machi veterans. And then there's Starfall. It's a bidding/set collection game. 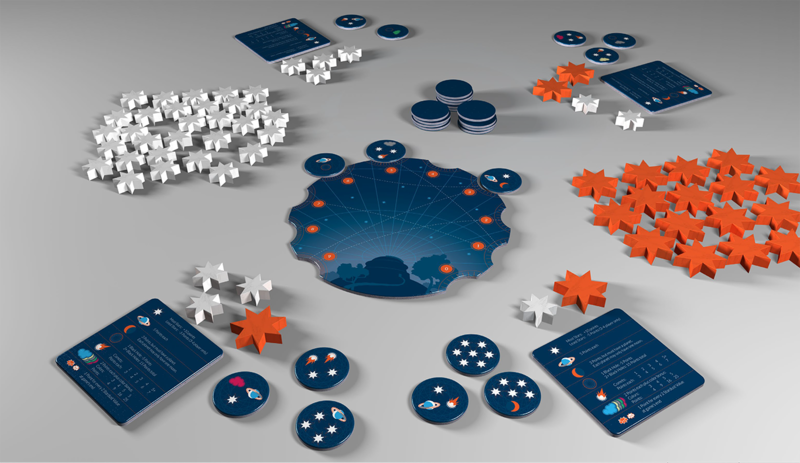 The game's design is such that there's simple rules, but a deep depth in terms of strategy, coupled with quick gameplay (games are about 30min). The artwork for the game was done by Ian O'Toole (who also did work on The Gallerist).